West Long Branch — A new Monmouth University Poll finds that the vast majority of Garden State residents support the development of electricity-generating wind farms off the state’s coast, which is significantly higher than public backing for oil drilling and expansion of nuclear power. Nearly half say that wind energy development should be a major priority for the state in the coming decade. Support for wind farms decreases, though, if electricity rates were to go up because of a greater investment in wind energy. However, most residents currently expect that their rates will not increase because of wind farm development. Three-quarters of New Jersey residents (76%) would favor placing electricity-generating wind farms off the coast of the state, while just 15% would oppose this action. Past support for offshore wind farms was slightly higher, ranging between 80% and 84% in polls taken between 2008 and 2011. Support is high among Democrats (79%), independents (77%), and Republicans (69%). “There is broad, bipartisan agreement that moving forward with offshore wind projects should be a priority. If New Jersey achieves Gov. Murphy’s ambitious goal of generating 3,500 MW of electricity from offshore wind by 2030, it will put the state on a path to a green energy future,” said Tony MacDonald, director of the Urban Coast Institute at Monmouth University. About half of Garden State residents (48%) say significantly increasing the amount of offshore wind energy should be a major priority for New Jersey over the next ten years. Another 34% say it should be a minor priority and just 11% say it should not be a priority at all. Two-thirds (66%) of Democrats say it should be a major priority. They are joined by 43% of independents and 32% of Republicans who say the same. Few New Jerseyans believe that developing wind energy off the state’s coast will lead to an increase in their own utility rates. In the short term, just 19% expect that their rates would go up for the next few years, while 35% say their rates would actually decrease and another 35% say they would stay the same. Over the long term, just 15% expect their rates would be higher ten years from now, while a majority (52%) expect them to be lower than they would be if no new wind farms were developed. Another 24% expect to see no change in their rates a decade from now if the state develops more wind energy. Younger residents under age 35 are more optimistic about their rates going down in the long run (65%) than are those aged 35 to 54 (52%) or those 55 and older (41%). People who earn over $100,000 a year are more likely to believe their electricity rates will decrease (60%) in the long term if more wind energy is developed than are people who earn $50,000 to $100,000 (50%) or people who earn less than $50,000 (49%). Although New Jersey residents are generally supportive of wind energy, 45% would oppose developing more wind farms if it caused their electricity rates to increase. 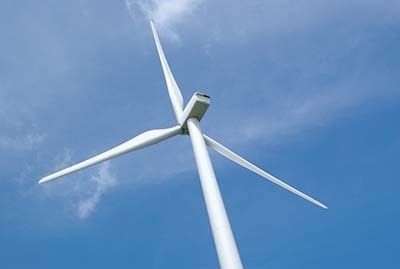 Four-in-ten (41%) would still favor wind farm development. Slightly over half of Democrats (54%) would favor offshore wind farm development even if their electricity costs went up but only around one-third of independents (35%) and Republicans (30%) would favor it. There is a similar split by age: 53% of those aged 18 to 34 would favor offshore wind farm development while 36% of those aged 35 to 54 and 35% of people 55 and older would favor it. Support for wind energy development is divided at each income level if it would cause electricity rates to increase over the next few years. Among those who earn less than $50,000 a year, 38% would still favor wind energy development if their rates went up while 42% would oppose it. Opinion stands at 40% favor and 50% oppose among those earning between $50,000 and $100,000 and at 45% favor and 42% oppose among those earning over $100,000. “This could be tricky for clean energy advocates. Support for wind energy could drop once New Jersey ratepayers become aware of any development costs they will have to bear. However, they could become more willing to shoulder some of that investment if they are convinced it will lead to real environmental benefits,” said Patrick Murray, director of the independent Monmouth University Polling Institute. The Monmouth University Poll also finds that New Jerseyans are not enthusiastic about some other possible options to meet the state’s energy needs. Just 3-in-10 Garden State residents (30%) favor drilling for oil and gas off the state’s coast while twice as many (61%) oppose it. Support for oil exploration was higher in 2011 at 52% in favor and 45% opposed. Sentiment in the previous year was much more negative, at 31% in favor and 63% opposed in a poll taken just a few months after the Deepwater Horizon accident in the Gulf of Mexico. Prior to that, support for offshore drilling in New Jersey had been stronger at 56% in favor and just 36% opposed in 2008. Nearly half of Republicans (48%) would currently favor offshore oil and gas drilling, but less than one-third of independents (31%) and only 18% of Democrats feel the same. Expanding nuclear power is no more popular than offshore drilling. Only one-quarter of New Jerseyans (26%) would favor building another nuclear power plant in the state while two-thirds (67%) would oppose it. Support for adding another nuclear plant to the Garden State’s power grid has declined over the past decade, going from 41% in 2008 to 31% in 2011. “There seems to be a recognition that the long-term economic and environmental benefits of investing in clean, renewable energy sources outweigh any short-term costs. At the same time, New Jerseyans no longer seem willing to accept the environmental risks of offshore drilling and nuclear power as a price for lowering their energy costs,” said MacDonald of the Urban Coast Institute. The Monmouth University Poll was conducted by telephone from February 8 to 10, 2019 with 604 New Jersey adults. The question results in this release have a margin of error of +/- 4.0 percentage points. The poll was conducted by the Monmouth University Polling Institute in West Long Branch, NJ. Carolyn Lau, Research Associate at the Polling Institute, contributed to the analysis in this report. On April 17-18, leading experts from around the world will assemble at Monmouth University for the Climate, Coasts & Communities Symposium hosted by the Urban Coast Institute. Out and About… would you like to be in it?